Economics and Management: This master course offers different majors, of which three are in english language. Major: Development and Environment, M.Sc. European Master in Territorial Development, M.Sc. Mechatronics: Major “International Mechatronics”, M.Sc. Water Resources and Environmental Management, M.Sc. Atlantic Studies in History, Culture and Society, M.A. PR information of the Leibniz Universität Hannover | Issue 21 – October 2017 – Very useful for Students and those with Contracts at the University. Students Welcome Guide 2018, LUH. At the general meeting of Verein Deutscher Ingenieure Geschäftsstelle Hannover (VDI) in Hannover, Amandeep Singh Gulati (Treasurer of IASH) and Kavi Mukilan Kamaraj participated as Representatives of the Indian students from Hannover. During the event various topics about problems faced by Indian students in Germany were discussed with the members of the VDI. The discussion was mainly focused on the problems relating to accommodation. Solutions were thereafter discussed along with the members of VDI. The event was indeed a very helpful platform to express the situation of foreign students in Germany. 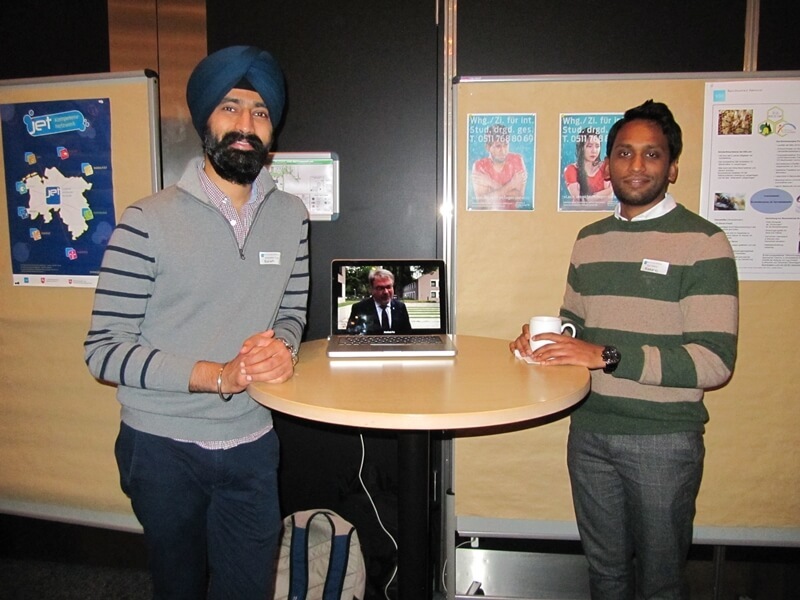 Indian Association Hannover played a vital role in supporting the students to participate in this event.